Limited edition Inkjet Print on Somerset Paper Edition of 5+ an AP. "Constructed through an entirely digital process, the image series Slowing Down the Light is created by overlapping and aligning every frame of a 30 second video clip. 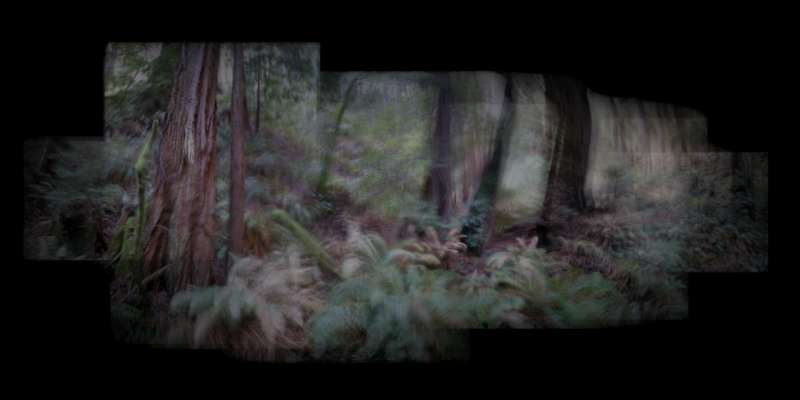 Each of the original videos, recorded on a hand-held camera in the Muir Woods of California, USA, pan across and around a small section of redwood forest from a fixed position. Back in the studio, through a uniquely developed process these simple and short videos are rigorously, patiently, and manually edited and deconstructed frame-by-frame, and finally they are exported as the single photographic images you see here. This project is rooted in an interest in photography’s ability to compress duration, movement, light and space, similar in a way to the compression of rock strata found deep beneath the Earth. From living now in a completely photo-centric society, it’s time to begin questioning the reality of what and why we choose to see and capture through the lens, and whether or not it can ever again be greater or more significant than any other thing. Both natural and mechanical life, in all of their infinite multitudinous, is forever fleeting and replicating itself at such a speed, that everything we see, think, or make will likely never have anymore lasting effect than a single ray of light as it falls through the canopy of an 2000 year old tree." Jonathan completed a BA Hons in Fine Art at Nottingham Trent University and subsequently an MFA in Fine Art Media at Slade School of Fine Art, London. 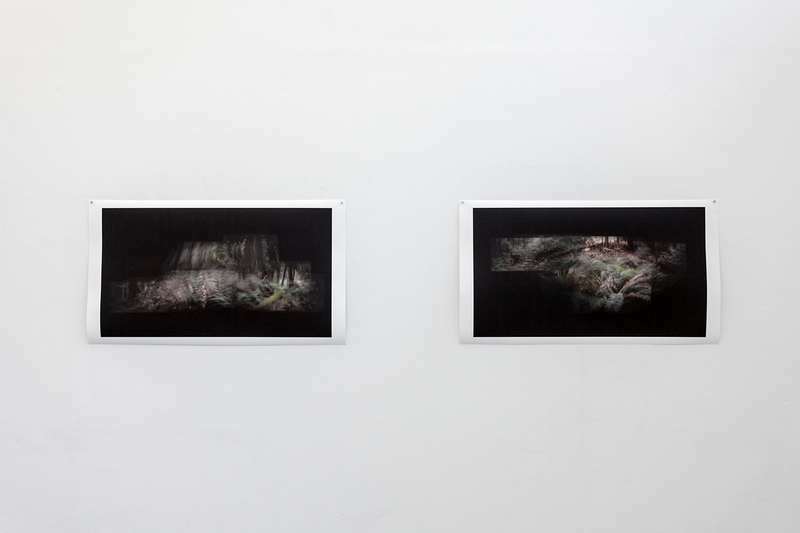 He was artist in residence at HKBU, Hong Kong, in 2016 and he has this year been awarded the Porthmeor Studios Graduate Workspace Award supported by the European Regional Development Fund, via Cultivator, 2018-19.